North Carolina Bail Bonds Question: Bail Loan Payments Not Signed? A North Carolina bail bond question came in the other day causing us to spend some additional time researching bail bond loans in NC. Luckily, a great Raleigh bondsman helped to get this worried mom the answer to her question… about potentially not owing additional money for bail. On 3/26/2017, my son had to begin serving an active sentence for obtaining property by false pretense. He was under a $35,000 bond. He was making payments to a bondsman for 10 percent of the bond (3500.00). I paid the bondsman $700 before my son was released from jail. When my son began serving his time, I called the bondsman the same day to let him know that my son was doing active time. I asked him if there was anything else that needed to be done concerning the money still owed. He said no. Now, he’s wanting $1500, but he said that he is willing to knock off $1000 if he gets paid $500. It has always been my understanding that if someone was out on bond through a bondsman, that when they began their active sentence, that the bondsman went off of their bond and there was no more money owed. Is this how it is supposed to work? I’m very confused. Would you please try to explain to me what is going on? We all know that a percentage of the total bond is typically owed prior to having a defendant released, regardless of the state or county. 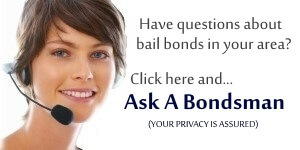 But often, some bondsmen offer to take payments for the bond. This helps bail someone out at a super low cost, but the full premium is still owed – just broken down into payments. In turn, this also puts the bondsman at risk of losing more money if the defendant skips. This question is not the case though. The defendant was then serving an active sentence and North Carolina has rules about payment of the remainder of the bond. Proudly Serving Raleigh and all of North Carolina. We looked into the document Mr. Harvey was referring, it’s a simple loan document for North Carolina bail bond payments. You can download that document here: NORTH CAROLINA GENERAL STATUTE 58, ARTICLE 71, SECTION 167.1. THE MEMORANDUM OF AGREEMENT IS BETWEEN THE PRINCIPAL AND SURETY WHEN IN ANY CASE SOME PORTION OF THE BOND PREMIUM PAYMENTS ARE TO BE DEFERRED OR PAID AFTER THE DEFENDANT HAS BEEN RELEASED FROM CUSTODY PURSUANT TO NORTH CAROLINA GENERAL STATUTE 58, ARTICLE 71, SECTION 167.